Target's Rogue One: A Star Wars Story Hasbro exclusive sets are in stores as of today. A 12-inch 6-pack, a 3 3/4-inch 7-pack, and a 6-inch 3-pack are there now. 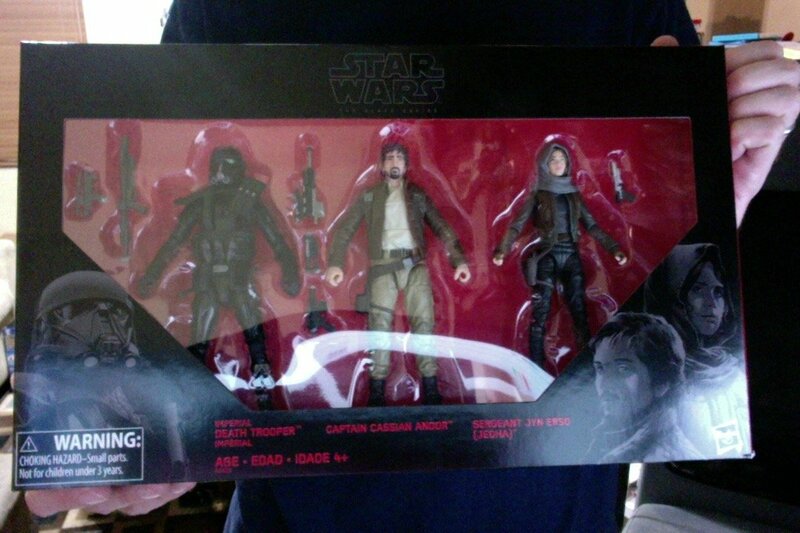 The Black Series set includes a repack of Jyn Erso along with a plussed up Imperial Death Trooper with more gear and the jacketed version of Cassian Andor. The Eadu head looks a smidgen better - but they're out there now if you need them.